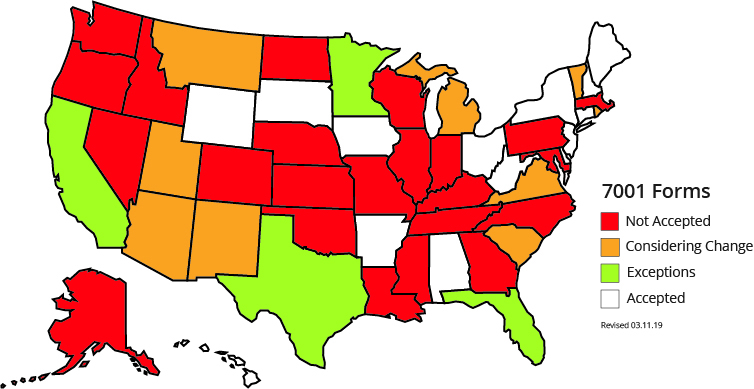 Because of several concerns about security and traceability, many state animal health officials have changed their requirements and no longer accept USDA APHIS Form 7001 for interstate movement of animals. With more states planning to reject 7001 forms in the near future, veterinarians and animal health practitioners need to prepare for regulatory changes and continue to educate their clients about compliant travel with pets. 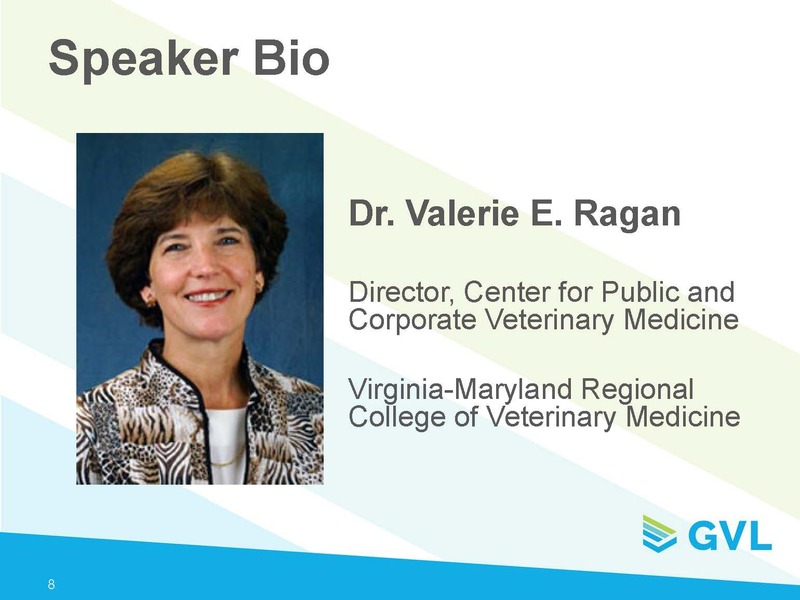 In this webinar, Dr. Valerie Ragan explains the current regulations around animal movement, what changes may be on the horizon, and what animal health professionals can do to prepare. If you would like to earn CE credit, you will need to take a short quiz after the webinar (more details provided upon registration). At GVL, we strive to provide education and awareness to the industry on relevant topics – from new regulations affecting animal health to solutions for helping ease interstate movement of animals. We facilitate webinars with thought leaders from the industry, often providing AAVSB RACE continuing education to help veterinarians and their staff meet their needs. Sign up for our email list to be notified of future webinars. Use of the APHIS 7001 Form for health certificates remains a concern across the nation for veterinarians and traveling animal owners, as many states no longer accept this form or discourage its use altogether. 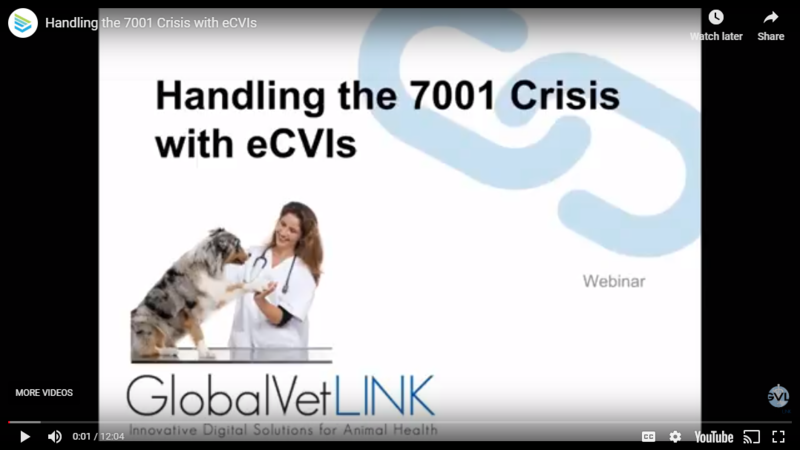 Many officials recommend digital Certificates of Veterinary Inspection (CVIs) for movement instead of the APHIS 7001 Form. Traveling with or transporting small animal species (cats, dogs, ferrets, rodents, birds, lizards, etc.) may require a Certificate of Veterinary Inspection (CVI) from a veterinarian, depending on state laws. Here’s some information about what veterinarians should know about APHIS 7001 forms and health certificates.